AURORAE are also known as 'Aurora Borealis' or the 'Northern Lights' or 'Aurora Australis' the 'Southern Lights'. On a clear night the aurora is visible as waves of coloured light moving across the sky. Although not common from the south of the British Isles they are quite common in the far north of Scotland and even more common nearer to the North Pole. Aurorea (the plural, Aurora singular) are caused by energetic particles which have been ejected from the Sun, hitting the Earths atmosphere. Earth has a strong magnetic field and the particles ejected from the Sun are also magnetic. 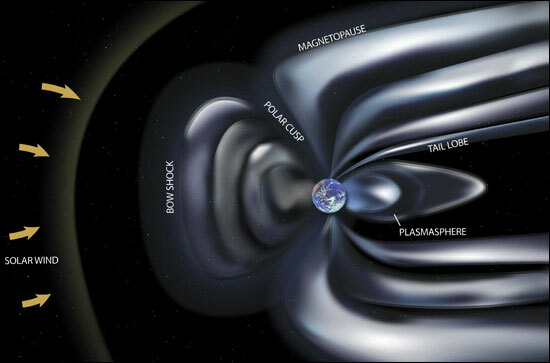 When the particles hit the Earth's magnetic field they are deflected around the magnetic field and towards the poles. As the particles move through the upper atmosphere they ionise the atoms of the atmosphere and cause them to glow much like in a florescent light. Aurorea take many shapes and colours and move in different ways. The main colours are red from Nitrogen and green from Oxygen but when the show is faint colours are hard to discern a grey glow may be all that is seen. The colours are caused by the constituent gases in the atmosphere being ionised depending on how energetic the in-coming particles are. Different shapes may occur and appear to be moving across the sky, sometimes at considerable speed. The most common shapes are sheets, rays and curtains. Sheets are large areas of colour which have no discernable pattern or movements. Rays are long straight beams of light which move like search light beams. Curtains are the most impressive of all and do look like huge coloured curtains swirling across the sky. The Colours are much more noticeable in photographs because longer camera exposure times allows more light to be captured and recorded on the film. The eye can only record very brief pictures on its own. Aurorae may occur at any time but are more common and stronger when the Sun is at its peak of activity. The Sun has a cycle of about 11 years when the number of flares, sunspots and outbursts called mass ejections, are more numerous and much stronger. The activity seen on the surface of the Sun is much more violent at Solar maximum and the Sun is reaching its maximum around 2013 and 2014. When there are large sun spots they often indicate there may be mass ejections and possibly Aurorae. 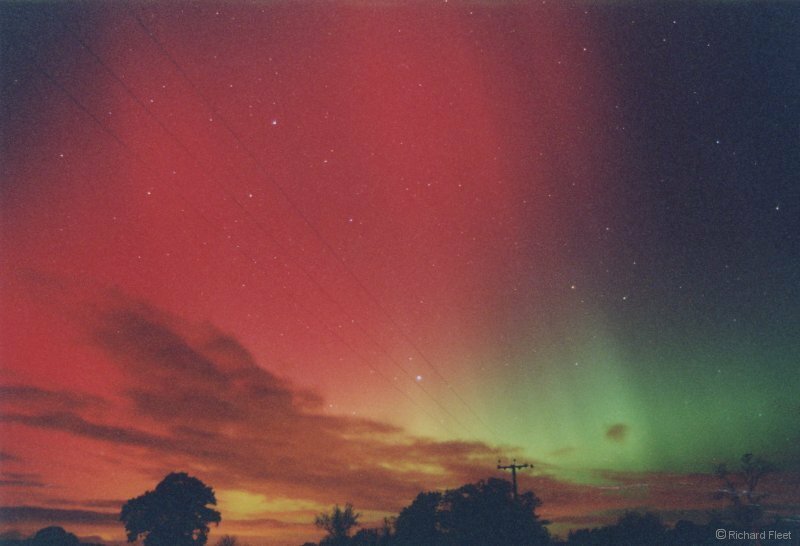 Unfortunately aurorae are seldom seen over southern England the last time was in 2003 when a beautiful show was seen over the whole of Britain.